This is a guide for the only part of the Welcome to Hope mission which is called Great Balls of Fire. It explains how to get through Great Balls of Fire with the maximum score by showing you how to remove the evidence and reach the bartender undetected on the hardest, purist, difficulty. After you have completed all the challenges for the Welcome to Hope mission and completed Great Balls of Fire in the way this guide suggests you can expect 18,000 score from Great Balls of Fire. At the start go into the bathroom to the right and turn the lever. This will mean that you are allowed to be in all areas of the bar without being spotted. Then enter the air ventilation shaft in the bathroom to get into the security room. Pick up the evidence off the table ahead. Once you have gone past the second row of pool tables turn right again and go up the stairs. Avoid the bar fight at the top of the stairs by circling around it. Avoid the last bouncer ahead by going up the right side of the stairs. Then you can easily make your way to the bartender. 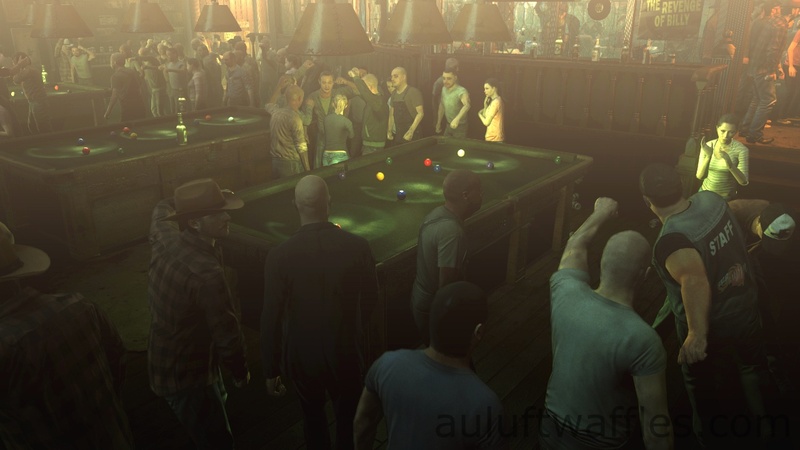 This entry was posted in Hitman Absolution Guide, Score Maximizing Mission Guide and tagged auluftwaffles, Games, gaming, Great Balls of Fire, Great Balls of Fire High Score, Great Balls of Fire Maximum Score, Great Balls of Fire Purist Guide, High Score, Hitman, Hitman Absolution, hitman Absolution Purist Guide, Hitman Absolution Score Maximizing Guide, Maximum Score, Video Games, Welcome to Hopde High Score, Welcome to Hope, Welcome to Hope Purist Guide, Welcome to Hope Score Maximizing. Bookmark the permalink.